Insane Clown Posse sued by former publicist for allegedly forcing her to "act unethically and illegally"
The notorious hip hop duo, the Insane Clown Posse are being sued by their former publicist and attorney who claims that she was not only sexually harassed, but asked to "act unethically and illegally" while working for the perennially controversial pair. There has thus far not been any comment on the allegations from either the Insane Clown Posse or Psychopathic Records. They are however no strangers to legal action, the most recent example of which being against the FBI after their fans – the Juggalos – were classified as a gang. 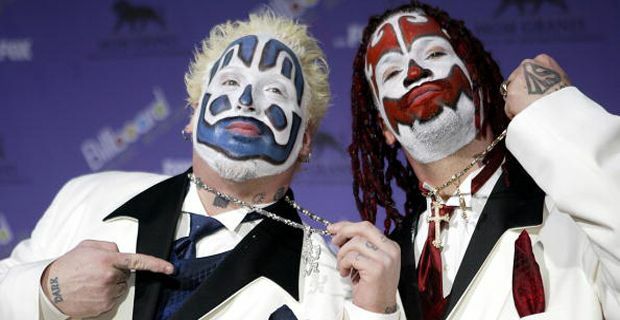 Insane Clown Posse - FBI's next threat?